For most drivers, automotive painting is a complex mystery. However, if you’re repainting your vehicle after an accident or just want to freshen up its appearance, you need to learn a bit about the process. To help you get started, your local ABRA Auto collision repair center has created a quick guide to five different types of paint you may encounter. Usually black or gray in color, this coat primes the surface of your vehicle, making it easier for the colored paint to adhere. This finish refers to the colored part of your vehicle. It isn't glossy and doesn't contain any strengtheners, so you’ll need a clear coat to protect it from the elements. Most manufacturers or collision repair shops no longer use this type of paint. However, it is still popular amongst those who drive antique cars. Acrylic lacquers have the highest shine of all the paints, but will quickly wear away. This type of finish doesn’t have any pigment but does contain specialized chemicals that protect your vehicle’s base coat. There are other automotive paints you may encounter, especially if you have an antique vehicle. Acrylic enamel paint, for example, only requires one application and does not need a clear coat. Call Your Local ABRA Auto for Expert Automotive Painting! 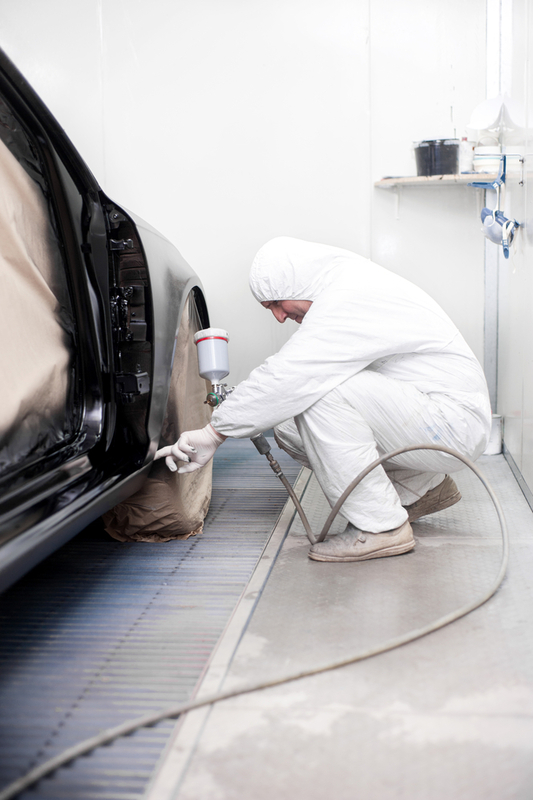 If your car or truck is in need of a paint job, call your local ABRA Auto today. For more on the different types of automotive paint or to learn about their auto body repair services, visit their website.